1. Financial assistance to sugar mills for clearing cane dues of farmers: the approval has been given to provide financial assistance @ of Rs. 5.50 per quintal of cane crushed in sugar season 2017-18 to sugar mills to offset the cost of cane, in order to help sugar mills to clear cane dues of farmers. i. The 15th Pravasi Bharatiya Divas will be held in the holy city of Varanasi in January 2019 with the Indian diaspora having an option to participate in Kumbha Snan and attend the Republic Day parade in New Delhi. ii. This year’s event would be inaugurated by PM Narendra Modi and his Mauritian counterpart Pravind Jugnauth. Organised by the Ministry of External Affairs in association with the Uttar Pradesh government, the theme of this Pravasi Bharatiya Divas is “Role of Indian Diaspora in building a New India”. i. Telecom Commission approved a proposal for allowing people to make phone calls and use internet services in domestic and international flights in India, with certain riders. Telecom Commission (the highest decision-making body of telecom department) also approved regulator TRAI’s recommendations on internet telephony in its meeting in New Delhi. ii. Another proposal that received approval entails creation of an ombudsman to deal with telecom grievances. · Suresh Prabhu is the Cabinet Minister of Civil Aviation. i. The government has released the draft of the new Telecom policy named National Digital Communications Policy, 2018. The policy aims at creating 40 lakh new jobs by 2022, attracting 100 billion US dollars investment in the sector and ensuring broadband coverage at 50 mbps for every citizen. ii. The draft proposes one Gbps connectivity to all Gram Panchayats by 2020 and 10 Gbps by 2022. · Manoj Sinha is the Minister of State (I/C) of the Ministry of Communications. · Smriti Zubin Irani is the Cabinet Minister of Information and Broadcasting. i. The Union Cabinet has given the approval to accede to the Protocol under World Health Organization (WHO) Framework Convention on tobacco control to eliminate illicit trade in tobacco products. ii. It will be applicable to both smoking and chewing or smokeless tobacco (SLT) forms as negotiated and adopted under Article 15 of the World Health Organization Framework Convention on Tobacco Control (WHO FCTC). India is a party to WHO FCTC. · The WHO Framework Convention on Tobacco Control (WHO FCTC) is the first international public health treaty negotiated under the auspices of the WHO. · The objective of FCTC is to provide a framework for supply and demand reduction measures for tobacco control at the national, regional and global levels. i. Minister of Commerce and Industry and Civil Aviation, Suresh Prabhu, attended India- South Africa business summit in Johannesburg, South Africa. The Minister highlighted the historical relations between India and Swaziland, Botswana and Lesotho and pledged to take the economic partnership forward. ii. The Minister also met members of India-South Africa CEOs forum who expressed confidence in the Government of India’s efforts to strengthen India-Africa relations. Mr Prabhu inaugurated a multi-sectoral exhibition at Johannesburg. i. In a new start, the Dominican Republic and China had established diplomatic relations as the Caribbean country becomes the latest nation to dump Taiwan in the face of Beijing's growing influence. ii. With this, Dominican Republic has broken a 77-year alliance with Taiwan. · Dominican Republic Capital- Santo Domingo, Currency- Dominican peso, President- Danilo Medina. i. The bilateral trade between India and China through Nathu La border has resumed. The announcement in this regard was made by the General Secretary of the Indo-China Border Traders’ Welfare Association, Tenzing Tsepel. ii. Trade between India and China through Nathu La border, located at a height of 14,200 feet, resumed in 2006, 44 years after it was closed. i. As per the data released by the World Health Organisation (WHO), 14 Indian cities figure in a list of world's 20 most polluted cities in terms of particulate matter PM2.5 levels in 2016.
ii. The WHO Global Urban Ambient Air Pollution Database ranked Kanpur as the most polluted city among 4300 world cities which were monitored for their air pollution levels in the year 2016.
iii. The other Indian cities that registered very high levels of PM2.5 pollutants were Faridabad, Varanasi, Gaya, Patna, Delhi, Lucknow, Agra, Muzaffarpur, Srinagar, Gurgaon, Jaipur, Patiala and Jodhpur. · The particulate matter PM2.5 includes pollutants like sulfate, nitrate and black carbon, which pose the greatest risk to human health. 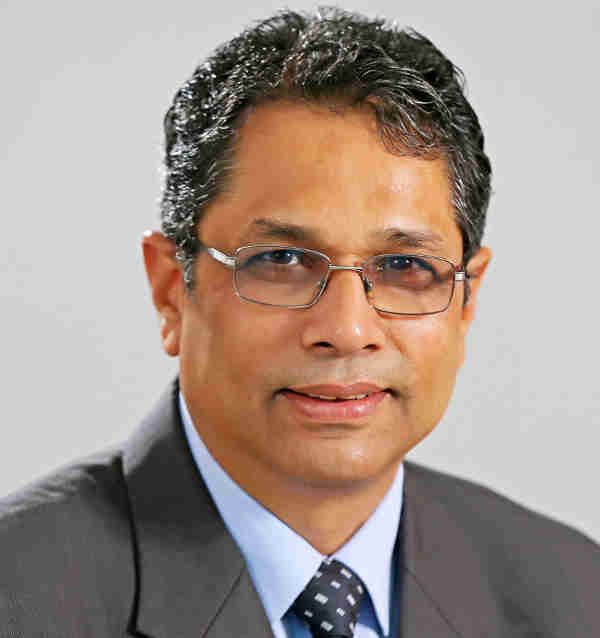 i. Mr Sitanshu Ranjan Kar (1983 batch officer of Indian Information Service) took over as the 27th Principal Spokesperson of the Government of India and Director General of Press Information Bureau in New Delhi. ii. He succeeds Mr Frank Noronha. i. Legendary singer Asha Bhosle was honoured with 26th PC Chandra Puraskaar for her contribution in the field of Indian music. Sharmila Tagore was the Chief Guest at the event who also presented the prestigious award to Asha Bhosle. ii. Asha Bhosle made her singing debut in 1943 and she has sung in a great variety of musical genres. Her career spans over almost seven decades. i. Lewis Hamilton of Mercedes has won the Azerbaijan Grand Prix 2018 in Baku during which both Red Bulls sensationally collided with each other. ii. Kimi Raikkonen of Ferrari finished second and Sergio Perez of Force India ended third in the Race. · President of Azerbaijan- Ilham Aliyev, Capital- Baku, Currency- Azerbaijani manat. i. The first Finance Minister in the Left Front government in West Bengal Ashok Mitra passed away in Kolkata. He was 90.
ii. Besides serving the State Government, he also worked with the Central Government as the Chief Economic Adviser and was a member of Rajya Sabha.